Florida State Wins A Thriller To Take College Championship : The Two-Way A wild final 4 1/2 minutes was capped by Florida State's winning touchdown that came with just 13 seconds left in the game. So the much-debated Bowl Championship Series system ends with a great game. The winning catch: Wide receiver Kelvin Benjamin of the Florida State Seminoles catches the 2-yard pass for a touchdown that put his team ahead for good with just 13 seconds left in the game. So, the teams didn't combine for the 100 points or more that some were predicting. But the game — the last for the Bowl Championship Series system of choosing the NCAA's Division I champion — was a thriller, as NPR's Tom Goldman said on Morning Edition. -- With Auburn ahead 24-20, Florida State's Kermit Whitfield returned a kickoff 100 yards to put his team back into the lead, 27-24. -- Auburn responded with a 75-yard scoring drive, capped by running back Tre Mason's 37-yard rush for a touchdown. That put the Tigers ahead; 31-27. Auburn was 1 minute, 19 seconds away from winning the championship. -- But Florida State came back. Beginning with the ball on their own 20-yard line, the Seminoles marched down the field. 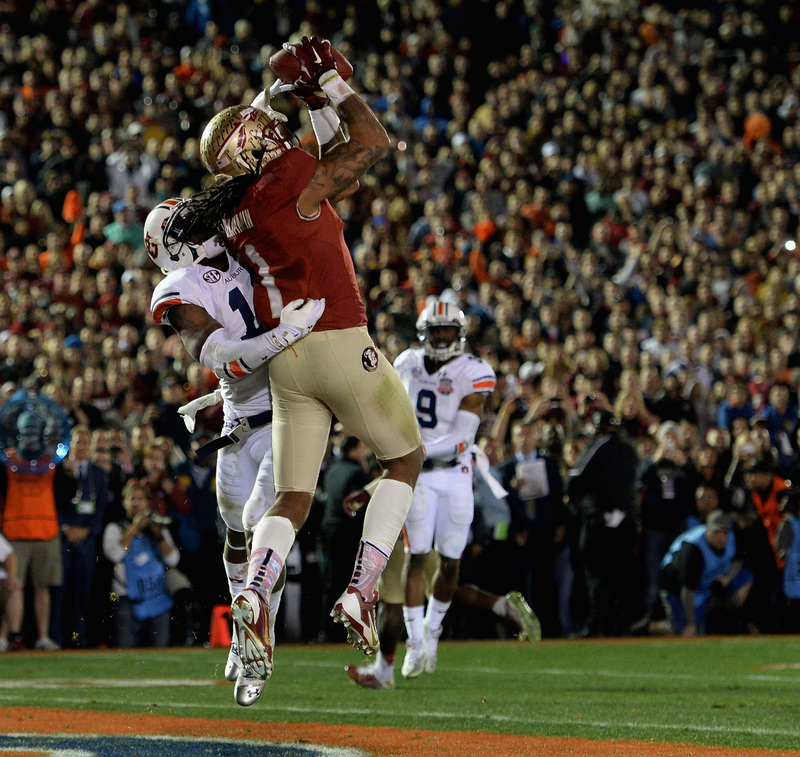 They won the game on Winston's 2-yard touchdown pass to receiver Kelvin Benjamin. As we said Monday, next year the NCAA drops the BCS system, which has led to arguments over the years about whether the right two teams were playing for the title, in favor of a four-team playoff format. That likely means that next year the arguments will be over whether the right four teams are in the playoffs.